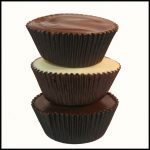 Our homemade caramel is one of the best representations of what we do here at our chocolate shop. It’s buttery, rich & superb in taste and it’s made right here in our shop from scratch. 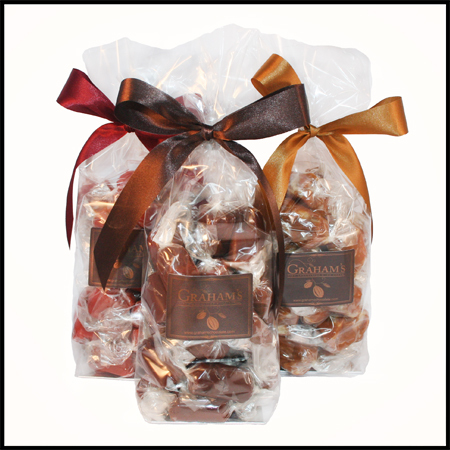 There are four different kinds of wrapped caramels that we offer, including our Classic Caramel, Chocolate Caramel, Raspberry Caramel & Caramel with Walnuts. Each bag contains 24 individually wrapped caramels, tied with a beautiful seasonal satin ribbon. 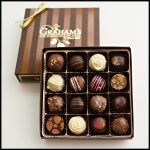 You can choose to have a specific kind of caramel, or a mixture of all our caramels. 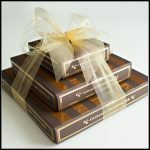 I have dreams about these caramels and always keep them around the house for a quick gift or (mostly) a quick snack! 😉 I’m a caramel fanatical these are by far my favorite – perfectly chewy yet almost creamy and SO delicious. 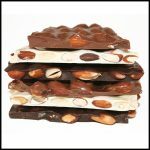 The classic flavor is probably my favorite, but I wouldn’t say no to the chocolate, raspberry, or even the walnut flavors. They’re all wonderful!